RT @FoxtraxBand: @SW_Invasion Dope pic!! Was great playing with y’all!! Can’t wait to do it again!! @AshleyONFOX7 @WholeFoods @QuantumCollect @fox7austin We love @DrinkHealthAde - what did you think? If you live in LA, make sure to check out @laurenruthward this Sunday @TheEchoLA . She's got a voice like 🍯 + moves like Jagger. 😎🤑 @partybabylives blasting on the stereo + 🍻 + 🎉 = us pretending its still the weekend. That time @theskins had us all dancing like complete maniacs. These kids BRING the 🔥✨"
Who was your favorite artist at #SouthwestInvasion? @kellydavis226 @hansonmusic Hanson fans are the best fans. RT @Mmmboptastic: So @hansonmusic played Johnny B Goode as a tribute to Chuck Berry at SXSW @SW_Invasion and laid it down !! Go Johnny Go. All VIP badges + passes need to be claimed by 6:15! @LoversInEngland our sponsors are the best ! @tayz_BETH @hansonmusic well be doing live video on our instagram! @OpenBarATX @RunRiverNorth they are killing it right now!! Getting super dreamy vibes from @arianatherose 🌹 at #SouthwestInvasion. @arianatherose so excited to see you play! @brooklynstarr you won!!! Dm me your full name! Post a photo of today's show + tag us on instagram for a chance to win VIP tickets for tomorrow's show ⚡⚡⚡! @MuddyMagnolias thanks for playing! You ladies sounded incredible. @realitysomethng you guys were so rad! @KristenSXSW @southbybaby minimal line right now! @whitneyrhiannon @QuantumCollect just for today. @stoutgoesout we're giving away passes to the first 50 people through the door! @itsyeagertime to our show today! @brooklynstarr at the Rooftop at the @WholeFoods on Lamar ! Retweet for a chance to win #VIP tickets to see @DeapVally at #SouthwestInvasion! Nothing like some @TribuBaharu to brighten our day! See them on Saturday, at this year's #SouthwestInvasion. RT @G_A_C_B: Tour ends 2morrow at @sxsw. (What were we thinking?) 🤘🏻Sets are 12:30 on a Whole Foods roof w/@SW_Invasion. Then 7pm @ Tiniest Bar in Texas. Can't wait to see you play at #SouthwestInvasion @regrettesband . 'Hey Now' is one of our FAVES! We couldn’t put on #SouthwestInvasion without the help of our wonderful sponsors, which include @zevia, @WellsFargo and @CalifiaFarms. RT @RedBootPR: @timfalls @taylor_atx come to @WholeFoodsATX @SW_Invasion! oasis from the chaos + focused on good healthy stuff + benefiting @WholePlanet! Don't miss @hopsandgrain 's Pint Night, tomorrow at @WholeFoodsATX from 3-6PM. @FoodTrailersATX @ClifBar they are indeed! Fresh off her UK tour, @katenash is bringing her badass-rock and roll show to #SouthwestInvasion, and we couldn't be happier! Come check out the @ClifBar Record Lab where you can watch your very own 7” single from one of the #SouthwestInvasion artists get cut live! Word has is that @RideSchwinn will be giving away 3 bikes during #SouthwestInvasion. 🚲 Visit the @WholePlanet booth to enter the draw! RT @TUCBAND: @SW_Invasion thank you so much 🙏🏼 stoked to get down there! 💙 the new EP, @TUCBAND. See you at #SouthwestInvasion ! RT @aliwontshutup: @hansonmusic coming to @SW_Invasion is the best thing to happen to me since my MMMbop tattoo. Coffee + 'Alive' by the @WARBLYJETS = our morning routine. ☕️⚡️ Can't wait to see their set at #SouthwestInvasion this year.
.@realitysomethng , we've been jamming "Bail" all the time. It's so good! See you at #SouthwestInvasion!! Just announced set times on our Instagram stories! Have you listened to @thedigisup 's excellent new album, "Bloodshot Tokyo"? 👏👏👏 Can't wait to see them at #SouthwestInvasion! Who's hungry? #SouthwestInvasion sponsor @Foodee has got free tacos at 2nd + Bravos from 1130-1230PM on March 10. #TweetForTacos to eat. This is our sixth year hosting #SouthwestInvasion at @WholeFoods Austin, and we couldn't be happier to have such a great host! Check out our Instagram stories for some cool artist takeovers- starting today!!! @MicheleElizabth nope- we are not affiliated with SXSW, so you just have to RSVP (link in bio). RT @OpenBarATX: #FF Really. @WhoaCo @atxconcert @thefreenoms @mhsxsw @MissKrisSxSW @rsvpster @SW_Invasion . . Don't miss the #SXSWrsvp. . . Get excited. @m4d4usa @hansonmusic we'll be announcing the schedule next week! We just finalised our lineup for this year's #southwestinvastion⚡⚡⚡. Stay tuned for announcements. @thewriteplacetx we'll be rolling out the announcements over the next two weeks! RT @SXSWMF: @SW_Invasion @Yuckband Maybe @thisisovercoats or @littlehurricane can't decide. The whole lineup was 🔥! RT @Spongey_X: Party @WholeFoodsATX during SXSW. Check out @SW_Invasion & sign up https://t.co/BibJn86lxD. Hopefully the line up will be announced soon! @EricRoberts @LilaGarrett @Roland_US yes indeed! Glad to see #SouthwestInvasion alumni @keatonsimons in the house this weekend! @AmbroseLerma @WholeFoodsATX thanks for partying with us! See you next year! Get HYPED with @TalibKweli as he closes out this amazing weekend in just a few. Craving some hard rock with deep blues riffs? @DeapVally are about ready to rock the roof @WholeFoodsATX. Come join the fun. RT @fiverr: @raveonstudio Swing by the #FiverrSXSW lounge at @SW_Invasion if you're around. We have plenty to share! Don't let your lifetime be lonely, spend it with @thewildfeathers on the roof of @WholeFoodsATX around 2:50! Kick it with @greatcaesarband at #SouthwestInvasion! They're coming to you live in just a bit. @VegAggie25 Glad you like it! GUESS WHAT. @GRO is coming up next. Daaaang #SouthwestInvasion, back at it again with a @quietcompanytx set next. Come out to support Austin locals @loscoast on the @WholeFoodsATX stage at 11:35! Make your way over to #SouthwestInvasion for another rad day filled with awesome artists. @transvioletband's set kicks off at 11! Enter to win VIP! Be @WholeFoodsATX & post a photo of @transvioletband (11am) and/or @loscoast (11:35) on Instagram w/ #SouthwestInvasion! RT @fiverr: @SushiGirl_ATX Congrats! You are the daily winner of our @SW_Invasion VIP wristbands! Please send your name & email to community@fiverr.com! EARLY BIRDS get #SouthwestInvasion goods! Get to @WholeFoodsATX tomorrow by 11am to win prizes like VIP passes, FREE gift cards & FREE food! Enter to win VIP! Be @WholeFoodsATX TMRW & post a pic of @transvioletband (11am) and/or @loscoast (11:35) on Insta w/ #SouthwestInvasion! @EwingAC @ThirdEyeBlind we're so sorry you didn't make it up! As our RSVP says, it's first come, first served. Hope you'll come early tmrw! @onthespence @ThirdEyeBlind they should be going on then, yes! RT @b_chambers_: @SW_Invasion @ThirdEyeBlind I'm here all the way from London, England and they're one of my favourite bands of all time! THANK YOU! And now the moment you've all been waiting for, @thirdeyeblind will be finishing out the night in just a few! RT @b_chambers_: Totally freaking out right now. Stumbled across a free @ThirdEyeBlind gig at @SW_Invasion in Austin! Come watch @theluckychops bring the BRASS on the @WholeFoodsATX rooftop stage. You don't wanna miss it. @brownskin_sev @fiverr the glasses are awesome! Party with us and @paperlions in just a bit. Their name may be @wintersleep but they definitely won't put you to sleep. Catch them up next on stage. Be sure to check out @theheirsmusic's set around 1:20. It's gonna be lit. @allenbrochill68 @carlyhoskins @Yuckband @WholeFoods haha! Not at #SouthwestInvasion? You should be. We've got @yuckband coming up! @ayee_erica @ThirdEyeBlind tune in on https://t.co/hEHDpnrJC4! Up next @givemepowers will be hitting the @WholeFoodsATX stage. @rennoceralc @fiverr Come party with us tomorrow!! Stoked for @youngwildmusic's set coming up at 11:35! Enter to win @WholeFoodsATX @foodee @hopsandgrain goods! Post a pic of @beeskneesmusic (11am) @WholeFoodsATX on Insta w/ #SouthwestInvasion! 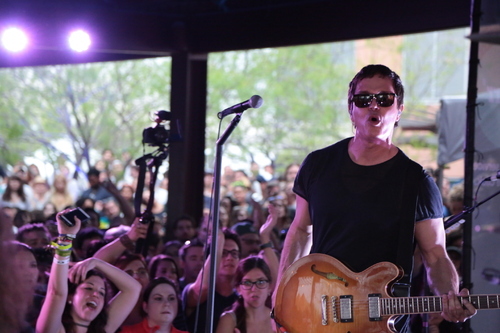 @seatigre @mysxswtwit @ThirdEyeBlind for personal use, yes! EARLY BIRDS get #SouthwestInvasion goods! Get to @WholeFoodsATX tomorrow by 11am to win prizes like VIP passes, FREE food & gift cards! Enter to win VIP! Be @WholeFoodsATX TMRW & post a pic of @beeskneesmusic (11am) or @youngwildmusic (11:35) on Insta w/ #SouthwestInvasion! @seatigre sorry we couldn't help more. We hope to see you tomorrow! RT @ThirdEyeBlind: We play at 6:15 pm tomorrow @WholeFoodsATX for @SW_Invasion be there!! #SouthwestInvasion #SXSW #dopamine get there early for your spot! Hope you're just as stoked as we are for @madeofoak to finish up this amazing first day in just a bit! We promise you DO NOT want to miss @intoitoverit's set coming up in a few! Come join the party and rock with @littlehurricane next! PSA: Space on the @WholeFoodsATX rooftop is limited! Be sure to get here early so you don't miss out on @madeofoak closing out the night! The lovely @GinggerShankar will be gracing the stage in just a few. You don't wanna miss this! Alright y'all, @thisisovercoats will be rockin' the #SouthwestInvasion stage at 2! If you're not already here, you should be. Heads up: @jamieskent is coming up next at 1:15 on the @WholeFoodsATX rooftop! Come check it out! GOOD AFTERNOON AUSTIN! @Stolar music is about ready to kick off #SouthwestInvasion at 12:30. Head over to @WholeFoodsATX to join the party. @theAustinot we look forward to seeing you this weekend @WholeFoodsATX for #SouthwestInvasion! @AmandaHouse_15 @ThirdEyeBlind that's the way to do it!! @goerica10 yes! The event is free and open to the public, space permitting. Just make sure to get there early for any set you want to see! Who doesn't like free music & goods? 😏 Be sure to get to #SouthwestInvasion on TOMORROW by 12:30 to win a $50 gift card to @WholeFoodsATX! Sign up for @Uber_ATX and enter the promo code SWI2016 for your free, first ride between now and 3/31/16. RT @WholePlanet: @TalibKweli @SW_Invasion Thanks for spreading the word and helping us alleviate global poverty! EARLY BIRDS get #SouthwestInvasion goods! Get to @WholeFoodsATX Fri. & Sat. by 11am to win prizes like VIP passes, FREE food & gift cards! Did you know that @GRO's newest album 'Fifteen' was the #1 Billboard Folk Album & #8 Billboard Rock Album? You know what's the bee's knees? The answer is @beeskneesmusic's song "Fidoober". UberPOOL is now 25% cheaper in ATX. Sign up using the promo code SWI2016 for a free ride to @WholeFoodsATX, up to $20 off! Need some company? Cuddle up with @QuietCompany before they take the #SouthwestInvasion stage this weekend. Have you listened to @arkells yet? Because we highly recommend it for getting pumped up for the weekend. Hey guys! 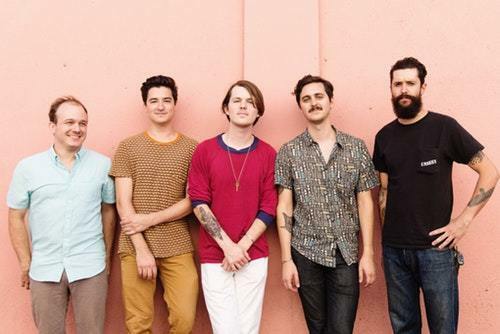 Local Austin band @loscoast is gonna take the stage @WholeFoodsATX this weekend, you stoked? Falling more and more in love with @intoitoverit's new album 'Standards'. What song is your favorite? Honored that our friends @Yuckband have #SouthwestInvasion as part of their tour! Currently having a dance party to @paperlions and getting even more excited for their set at #SouthwestInvasion!! @issamel @hopsandgrain we had to move it to tomorrow at 9:30am :) sorry for the confusion! Meet us @WholeFoodsATX TONIGHT 5-8pm for #PintNight w/ @dogfishbeer & @hopsandgrain to celebrate #SouthwestInvasion kicking off on Thursday!
. @givemepowers is taking time out of their tour with @XAmbassadors to play at #SouthwestInvasion so make sure you're there for the set! @JennyRed07 winners will be picked randomly throughout the week! Stay tuned for more contests! We've got @thisisovercoats' "Nighttime Hunger" on repeat. Have you listened to it yet? Fun Fact: @GinggerShankar scored the Anne Hamilton film, American Fable that premiered this past Sunday at #SXSW? Isn't that rad?? @_brianabones @SXSW2016ATX @WholeFoodsATX @fiverr @zicococonut yup, automatic entry! @SXSWHIPHOP @TalibKweli @WholePlanet 🙌🏼 thank you!! @SXSWMF @ThirdEyeBlind @TalibKweli @WholePlanet you rock, James! Thank you! @OpenBarATX @ThirdEyeBlind @TalibKweli @WholePlanet 🙏🏼 #grateful! Thank you! We're obsessed with @greatcaesarband's single "Hey Mama" & so stoked for their new album coming out March 25th. Come see 'em this weekend! @TexasStarlet let's do it! 2 cut the line passes to see @ThirdEyeBlind! Please DM us your full name and we'll send ya more info! RT @greatcaesarband: ICYMI: we are taking over the @SW_Invasion #Periscope account today at 2ct/3et! Tune in for Q&A and our newest feature: Bad A Capella songs! @Eljohhn @fiverr @xogabi_ we vote yes too! RT @atxconcert: CONGRATS to @Dezuraye!! You just won a pair of VIP 'cut the line' passes for @SW_Invasion's friday (3/18) lineup!!! DM name and email!! RT @paperlions: @RedBootPR @GiveMePowers @SW_Invasion @dogfishbeer can't wait! @DJBeatsmode @TalibKweli stay tuned for more ways to win! Sorry for the email blast delay, guys! #SouthwestInvasion schedule coming your way now!! RT @MissKrisSxSW: . @SW_Invasion @ThirdManRRS Congrats @MichaelRox, you're the winner of a pair of cut the line passes for March 17th #SouthwestInvasion! RT @atxconcert: CONGRATS @nollywood_Q!!! You won a pair of VIP 'cut the line' passes for @SW_Invasion. Good for Friday, 3/17. I just need your name/email! @CobyBlackmonI many of our sponsors will be giving out free food! @CobyBlackmonI @thefreenoms good eats from @ClifBar @zicococonut @purelyelizabeth @trueorganicjuic @MammaChia & more! RT @atxconcert: We will pick 3 winners for a pair of VIP passes from @SW_Invasion. These let you to cut the line & have access to the VIP viewing deck. RT @MissKrisSxSW: We'll have more cut-the-line passes for the @SW_Invasion next week! Remember to follow and staaaay tuned! THANK YOU to @Fiverr @ClifBar @zicococonut & all of our amazing sponsors who make #SouthwestInvasion @WholeFoodsATX FREE for all!! Please join us in giving major social media lovin' to our 2016 presenting partner @Fiverr! #SouthwestInvasion is FREE b/c of our sponsors! @YeahArtj55 @WholeFoodsATX @eventbrite we'll be picking winners randomly and notifying via email! @ATXRunGurl schedule coming next week! Major #SouthwestInvasion HEADLINER just announced on Instagram!! -> https://t.co/mvZfzujK0P <- Follow us there to enter to win VIP passes! RT @rsvpster: The winner of the Friday passes to @SW_Invasion is @JordannnHarris! More #SXSW giveaways to come. DM us to claim. @dogfishbeer @WholeFoodsATX which of your beers are y'all bringing? We can't wait to drink 'em! @zymge we're revealing those names soon! @Rascoundrel @rsvpster @SXSWNews @WhoaCo @WholeFoodsATX we'd say the odds are a LOT better than that!! Are you following our friends @WhoaCo @rsvpster? They're giving away VIP passes to #SouthwestInvasion @wholefoodsatx! @BWWMusicWorld @QuantumCollect thanks for the love!! @arkellsmusic @WholeFoodsATX we can't wait to see you!! 30 min. until the first 7 #SouthwestInvasion artists are revealed!! -> https://t.co/mvZfzujK0P <- RT to enter to win "cut the line" passes! @LydiaSXSW we'll be picking tons of winners over the next few weeks! Artist & Sponsor announcements next week! Enter to win VIP passes by RSVP'ing! https://t.co/Iz0e8Na6Gq RT for your #SXSW friends! @mischiefonline @WholeFoodsATX will do, thanks!! RSVP to #SouthwestInvasion @WholeFoodsATX and you'll be entered to win VIP passes! https://t.co/Iz0e8NrI50 RT for your #SXSW friends! @SXSWHIPHOP we think you're gonna dig some of our artist announcements next week 😉 wanna team up on some giveaways? @mischiefonline hey guys! We'd love to connect with you about this year's event @WholeFoodsATX! @FreeatSXSW #SouthwestInvasion is FREEEEEEEE during #SXSW! 🙂 Would you guys be interested in teaming up on some giveaways? @sxnoms hey there! We're gonna have tons of free noms at #SouthwestInvasion! Wanna team up on some giveaways? @rsvpster hey guys! Wanna team up on some giveaways this year for #SouthwestInvasion? @jorackk @WholeFoodsATX we'll see you again soon! Wanna roll VIP to #SouthwestInvasion during #SXSW @WholeFoodsATX March 17-19? Just RSVP! https://t.co/Iz0e8NrI50 RT to spread the love! RT @abbeykat16: I'm so excited for my 4th year attending @SW_Invasion @QuantumCollect!!! !💖💖 So excited for the release of the line up!!! @NewbsDoSXSW hey newbs! 👋🏼 welcome to #SXSW! Hope to see you at #SouthwestInvasion! @ATXUnderground thank you!!! We hope to see you there! @jenig77 thank you for the love, Jeni! @MissKrisSxSW awesome!! Wanna DM your email? @SXSW2016ATX @QuantumCollect awe shucks, thanks!! 🙂 Wanna partner up on some giveaways this year?! @SXSWMF yay! Thank you James, you rock!! Let's do some giveaway partnerships this year!! You down? @atxconcert you're the best!! Thank you! Wanna partner up on some giveaways this year? @MissKrisSxSW @QuantumCollect thank you for the love and help spreading the word! Would love to team up on some giveaways this year! @MarkQuestion thanks for the follow, Mark! We look forward to seeing you @WholeFoodsATX this year! @DallasSF woooo!!! 🙌🏼 thank you! @bmeyerson you're gonna dig our plans for BEER at this year's #SouthwestInvasion! Hey, friends! We launched a NEW Twitter exclusively for #SouthwestInvasion! Please follow ➡️ @SW_Invasion ⬅️ for all artist announcements!! special shoutout to @sxsw2016ATX !! Check them out NOW to learn more about the hottest unofficial SXSW events! We have a spanking new website Check out https://t.co/kcHPYcMM19 + RSVP today!! 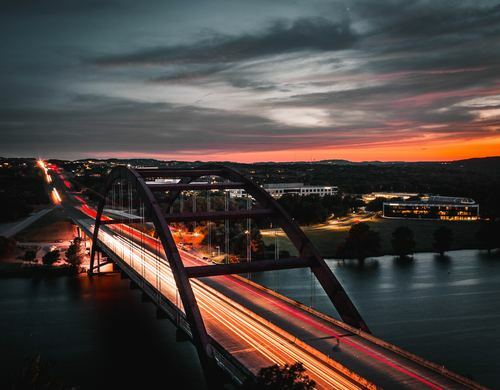 Make sure you follow our pals at @SXSW2016ATX for the latest happenings (Including #SouthwestInvasion!) during this year’s SXSW Fest!
. @thelumineers, @OfficialPTX, @Imaginedragons, @matisyahu - a few of the acts who have played SouthwestInvasion. Who will it be this year? If you're in Austin Mar 17-19, you should be at the SouthwestInvasion on the @WholeFoodsATX rooftop. Amazing artists + fun = win! RT @TunedUPRyan: @WorldArtsMusic you guys helping w the @QuantumCollect showcase again this year? We launched a new website for the SouthwestInvasion [March 17-19 in Austin]. Check out https://t.co/kcHPYcMM19. RSVP today!! We’re excited for the SouthwestInvasion, happening March 17-19 on the @WholeFoodsATX rooftop. 2 days of FREE music, brands, fun + food! RT @iamtunedup: . @civiltwilight listening to it now, gentlemen. liked what I heard at SXSW at @QuantumCollect, review coming soon. RT @civiltwilight: Our new album comes out this week. Excited. RT @WholeFoodsATX: Thank YOU! We had fun! RT @QuantumCollect: Thank you f for another amazing year @WholeFoodsATX! See you at 2016 #QuantumParty during #SXSW! Thank you guys for another amazing year @WholeFoodsATX! See you at the 2016 #QuantumParty during #SXSW! @kionaatplay @XAUpdates check out @RedBootPR's tweets! @kionaatplay @XAUpdates aww no! There are so cool videos circulating, including on our Twitter, Instagram and FB! RT @kionaatplay: Loving this @QuantumCollect restream. Videography is tight sound is great! Check out @NovelNature now for a new song! Dear Southwest Invasion Fans - We regret to inform you that, due to circumstances beyond our control, the event will not be happening in 2019. 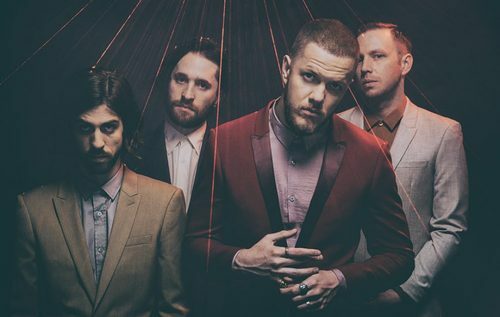 At the inaugural Southwest Invasion in 2012, we were lucky to have a new band headlining – Imagine Dragons. 2016 Southwest Invasion headliners Third Eye Blind recently released a 7-song EP made up of their interpretation of other people’s tracks. Hailing from Plainfield, NJ, but moving to Los Angeles as a teen, Cecilia Della Peruti is 1/3 of Gothic Tropic, an indie pop dream team with otherworldly vocals, strong guitar and a dash of classic/prog rock thrown on it. 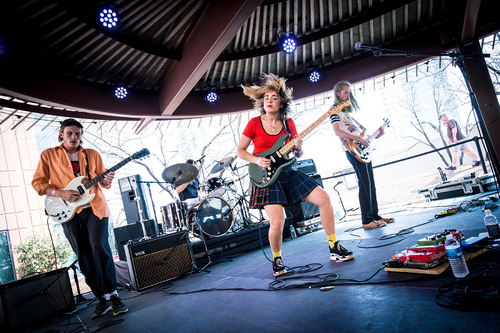 The band was one of the 2018 Southwest Invasion headliners. LA based band Emerson Star started out as a guitar/vocal outfit via brothers Shannon and Taylor Inouye.